A Mohawk artist on the Kahnawake Mohawk Reservation south of Montreal makes these exquisite breastplate chokers using the ultra-thin hairpipe we manufacture in Vietnam. 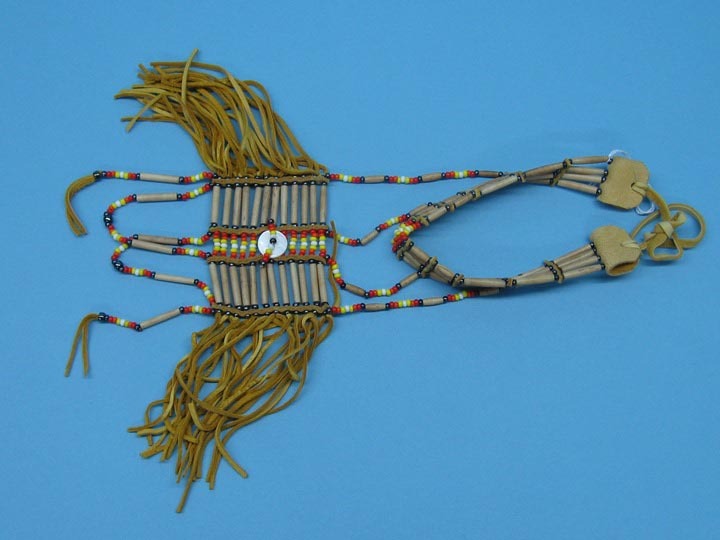 Each piece has a clam shell button in the middle, glass beads, and deerskin trim. Colors vary. Please confirm prior to ordering if you are specific about colors.